Disc: (1953). White label,typed titles and name in black. 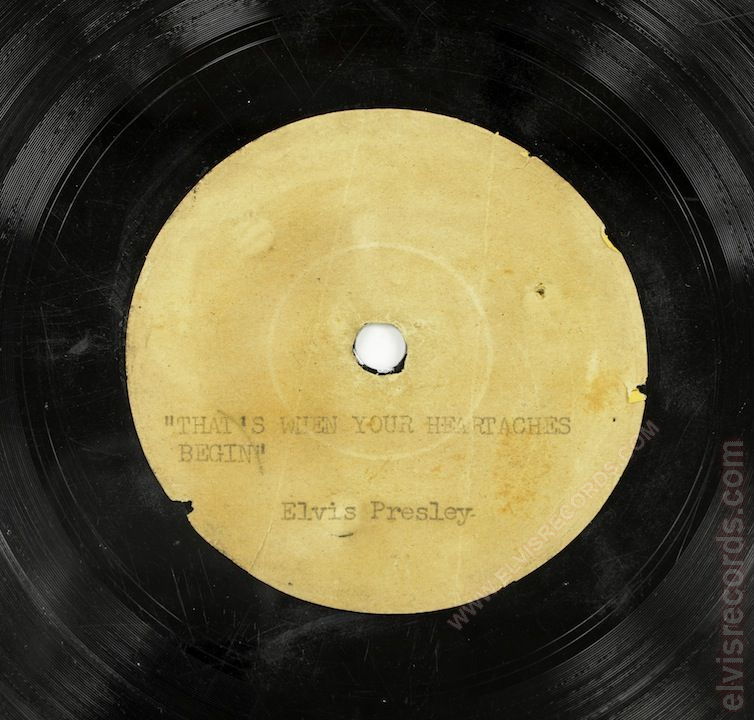 This one of a kind acetate sold for $300,000 as lot #32 at the auction at Graceland event of January 2015. The reason that this record has made this site, is that since it's sale, a re-issue was pressed in 2015 for a limited edition Record Store Day 2015 exclusive by Jack White's label, Third Man Records with catalog number TMR-306. Like the original, one-of-a-kind acetate, it is a 10" single pressed at 78 RPM. 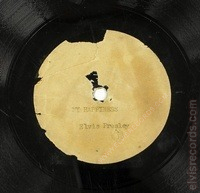 The label, however, is a solid label, that is not actually damaged, however, an image of the damage label.